Morning Star Ministries of the North Penn Area, Inc has been in operation for 26 years. 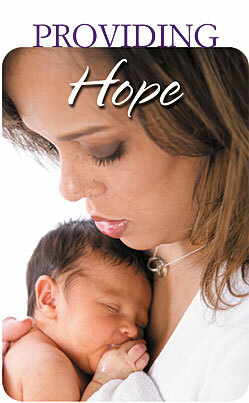 Morning Star’s maternity home provides housing and related services to teens and young women facing crisis pregnancies. The need for safe housing in a loving, nurturing environment is crucial to someone who is struggling with an unplanned or unwanted pregnancy. Morning Star has found that if given the hope they endeavor to provide, young women are less likely to turn to abortion as the solution to their crisis. The program offers care that begins when the resident arrives and ends when she and her baby have a safe environment in which to return. The program not only provides housing through the pregnancy, but also helps with other needs relating to unplanned pregnancy such as keeping up with education, the coordination of medical care, teaching of life and parenting skills, mentoring, etc. Please visit www.morningstarmaternityhome.org to learn more about Morning Star. To help support Morning Star and receive $1.00 off per bag, please enter promo code BABIES in the shopping cart before checking out. Morning Star Ministries will receive $3.00 for every bag purchased using this code.